The "Buddha Lounge" is jumpin' again! Or, maybe chilling would be a better word. 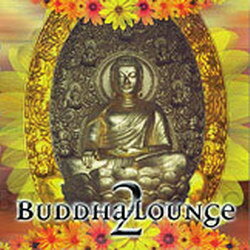 BUDDHA LOUNGE II picks up were the first installment left off, featuring eleven delectable slices of ethnic electronica tied together by a healing theme. Unlike the first album, part II is is a tad more mellow and introspective. Indian vibes open the album, but before long, everything from Gypsy Flamenco to Native American flute to didgeridoo comes into the mix, giving the album a very diverse feel. Once again, this excursion in the "Buddha Lounge" is a winner, and will surely gain the favor of worldbeat aficionados and those who enjoyed the first release.